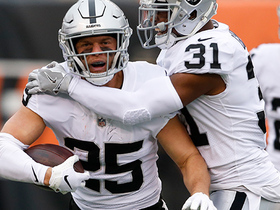 Analysis: Boyd sustained the injury Week 15 against the Raiders and missed the Bengals' final two games of 2018 as a result. 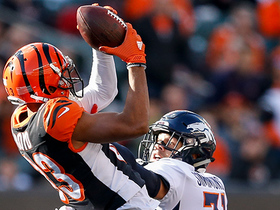 Despite the premature end to his campaign, Boyd still represented one of the few bright spots for the Bengals after amassing 76 receptions for 1,028 yards and seven scores across 14 games. He shouldn't face any limitations during OTAs and should reprise his role as the Bengals' clear No. 2 receiver behind A.J. Green (foot) in 2019. Analysis: Boyd has followed up an absence in his team's Week 16 loss to the Browns with no activity in practices Wednesday and Thursday. At this point, his chances of making it back for Sunday's season finale against the Steelers appear remote, but the Bengals will likely wait and see what he's able to do (or not do) at Friday's practice before making a ruling on his status. Analysis: With the Bengals sitting at 6-9 and removed from playoff contention, there might not be much upside in bringing Boyd back for Sunday's season finale against the Steelers. If he fails to get back on the practice field the next two days and is ruled out for a second straight game, John Ross, Cody Core and Alex Erickson would head the Bengals' depleted receiver corps in Week 17. Analysis: As a result, look for John Ross to head the Bengals' wideout corps in Week 16, with Cody Core and Alex Erickson also having an opportunity to be factors in a weakened Cincinnati passing game. Given the absences of Boyd, A.J. Green (foot), Tyler Eifert (ankle) and Andy Dalton (thumb), expect a run-oriented game plan featuring Joe Mixon to be in the forecast for Cincinnati. 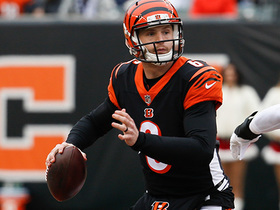 Boyd (knee) didn't practice Wednesday, Paul Dehner Jr. of The Cincinnati Enquirer reports. 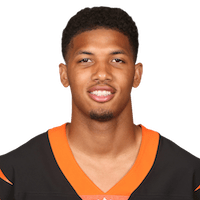 Coach Marvin Lewis said the Bengals will make a decision on Boyd (knee) later this week, Richard Skinner of WKRC-TV Cincinnati reports. Boyd (knee) is dealing with a low-grade MCL sprain, Ian Rapoport of NFL Network reports. Boyd downplayed the knee issue that forced him out of Sunday's 30-16 win over the Raiders, Katherine Terrell of ESPN.com reports. "I was just banged up a little bit," Boyd noted afterward. "Nothing too serious or anything anyone should worry about. 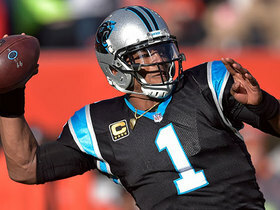 I think I'll be ready to go next week for sure." Analysis: Prior to his exit from Sunday's game, Boyd caught four of his five targets for 38 yards and a touchdown. We'll revisit his status no later than Wednesday, once the Bengals begin their practice preparations for their Week 16 contest in Cleveland. Boyd was forced out of Sunday's game against the Raiders with a right knee injury. Analysis: With Boyd now hurting, John Ross, Alex Erickson and Cody Core are next up for the Bengals' wideout targets. 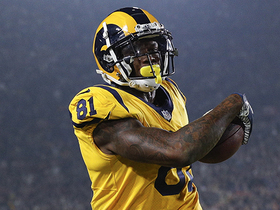 Boyd caught three of six targets for a team-high 52 receiving yards during Sunday's 26-21 loss to the Chargers. 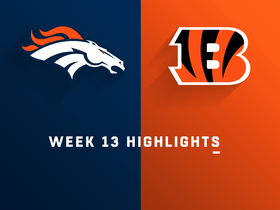 Boyd caught six of eight targets for 97 yards during Sunday's 24-10 loss to Denver. Boyd caught seven of eight targets for 85 yards and a touchdown in Sunday's 35-20 loss to the Browns. 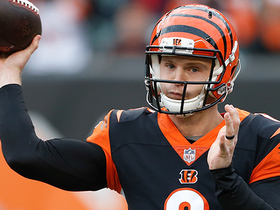 Analysis: After Andy Dalton exited with a thumb injury, Boyd caught a 28-yard touchdown from backup quarterback Jeff Driskel. That touchdown not only helped Boyd's owners this week, but it should also give them some peace of mind should Dalton miss the Week 13 tilt against the Broncos. Boyd caught four of 11 targets for 71 yards during Sunday's 24-21 loss to Baltimore. Analysis: Boyd delivered big in the opening seconds of the second quarter, helping convert a 3rd and long with a 29-yard reception down field, setting up a Joe Mixon touchdown run. Boyd has been the man in A.J. Green's (foot) absence, seeing 15 total targets, including a team-high 11 on Sunday. Expect those targets to keep coming against a tough Browns defense next in Week 12. Boyd is once again in line to serve as a primary target in the passing game with A.J. Green (toe) listed as inactive Sunday against the Ravens. 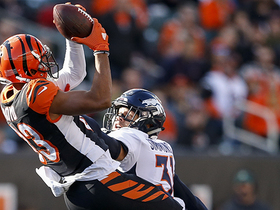 Boyd was held to three catches for 65 yards on four targets in the Bengals' loss to the Saints. 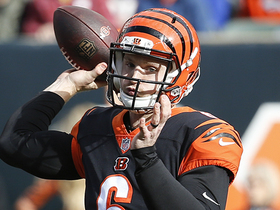 Analysis: Bengals quarterback Andy Dalton was under pressure most of the day and was sacked four times, which limited the time Boyd had to get open in this one. It doesn't figure to get any easier for Boyd next week in Baltimore. Boyd is expected to serve as Cincinnati's No. 1 receiver for at least the next two weeks while A.J. 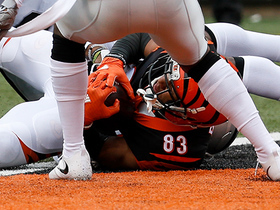 Green (toe) is unavailable, Geoff Hobson of the Bengals' official site reports.